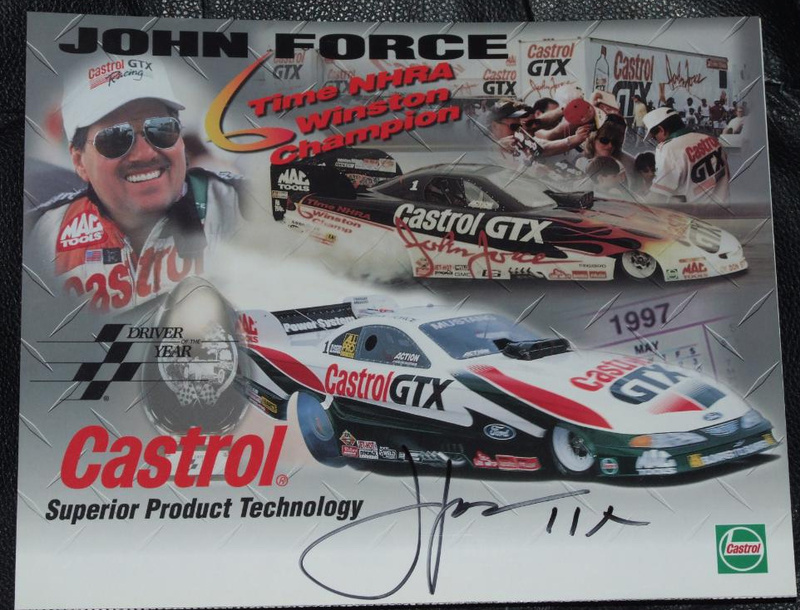 1997 Castrol GTX 8x10 promotional photo card autographed in black marker by legendary NHRA Funny Car driver John Force and inscribed 11X for the 11 NHRA Championships he had won at the time he signed this photo. With certificate of authenticity from AutographsForSale.com. ONLY ONE AVAILABLE FOR SALE.